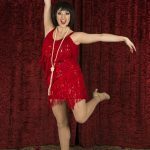 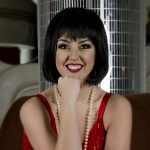 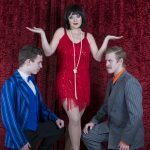 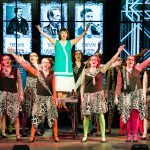 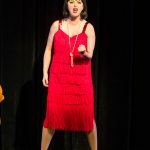 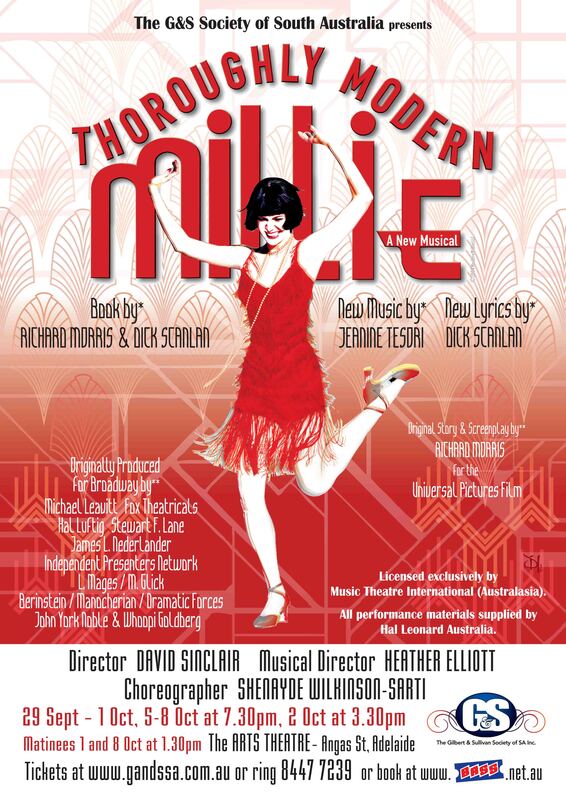 Thoroughly Modern Millie is a high-spirited musical romp that has all of New York dancing the Charleston. 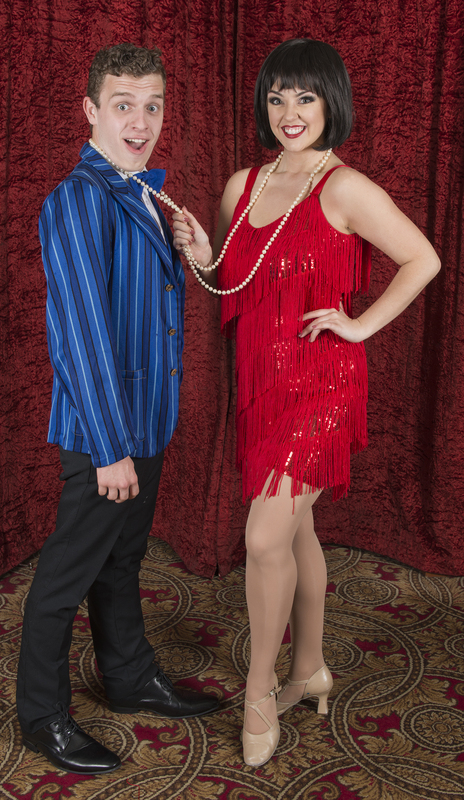 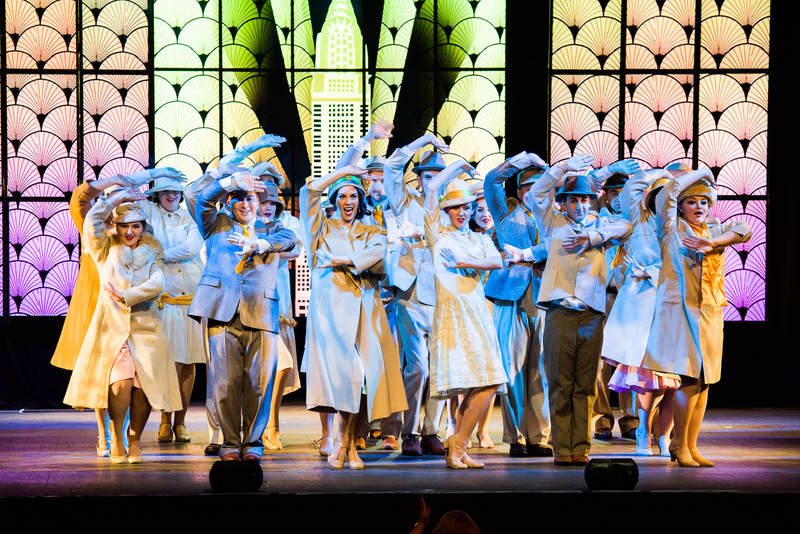 It’s the zany new 1920’s musical that has taken Broadway by storm! 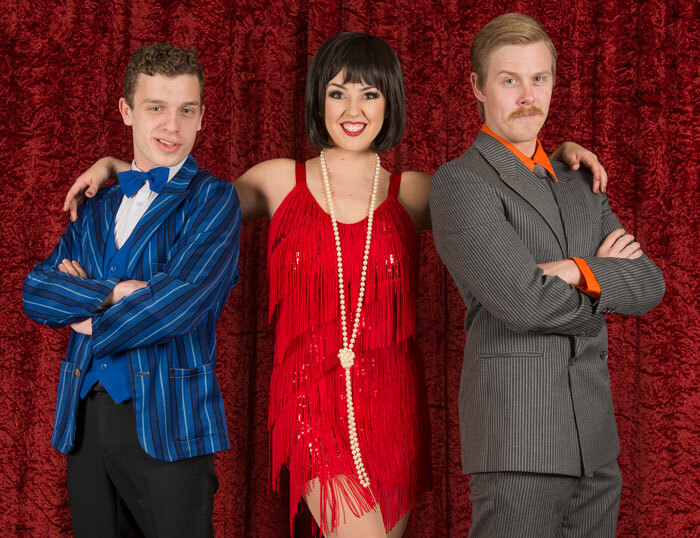 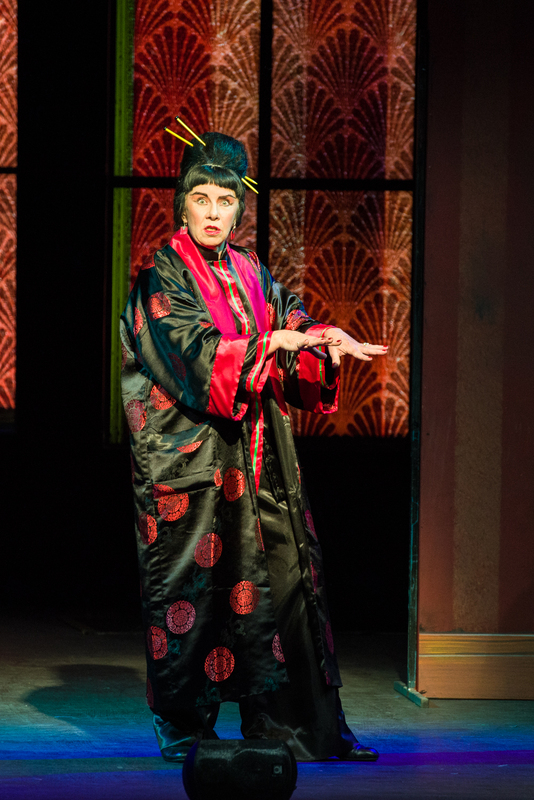 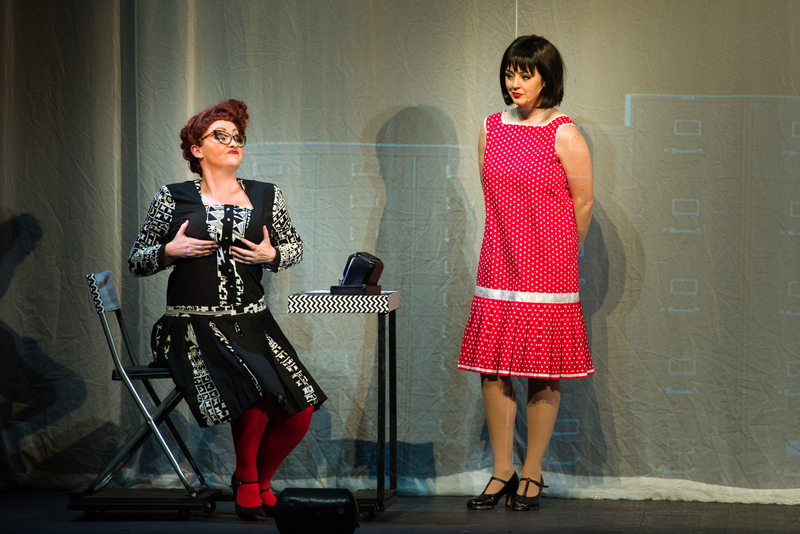 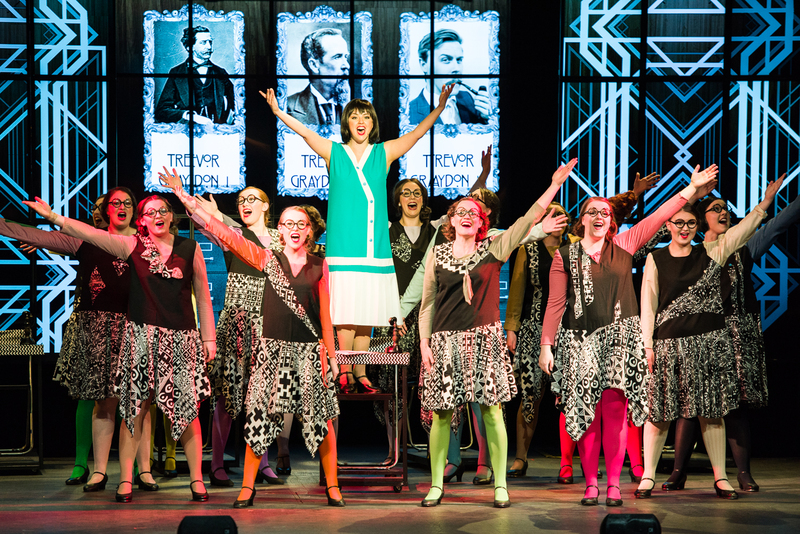 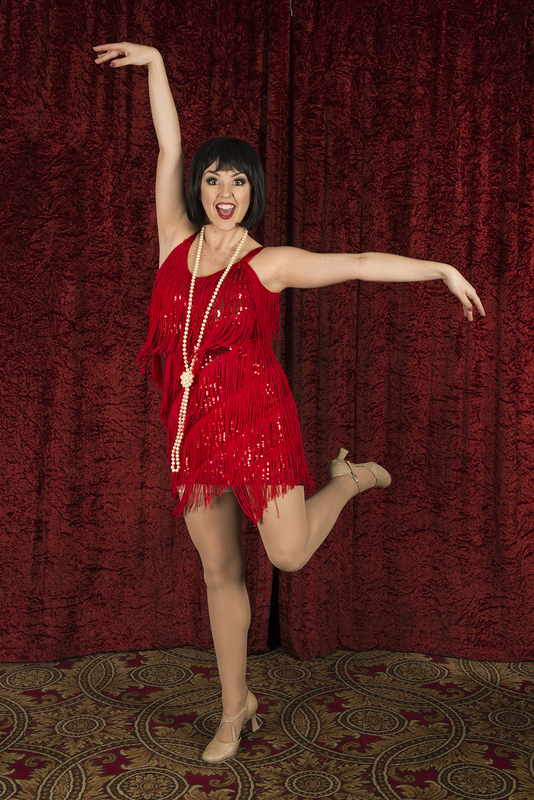 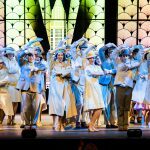 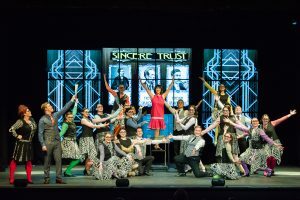 The stage version of Thoroughly Modern Millie includes a full score of new songs and bright dance numbers. 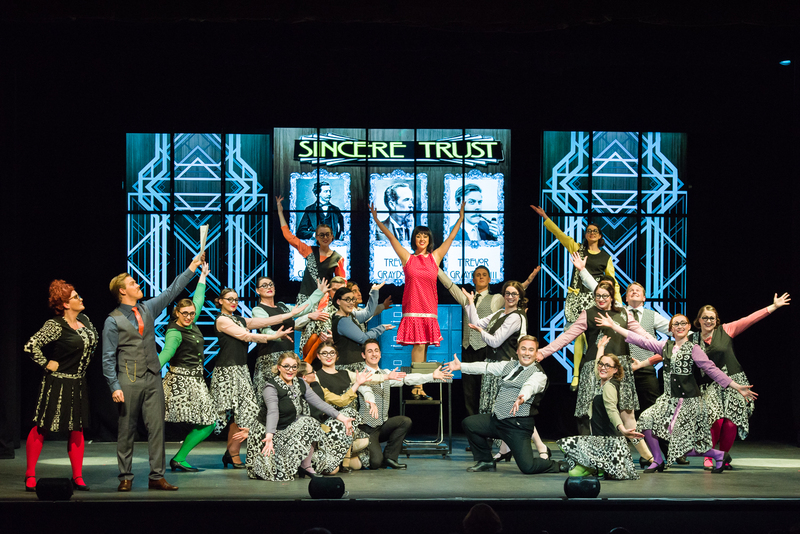 Director David Sinclair and the cast and crew managed opening night well, considering the week's storms had forced the cancellation of the final tech rehearsal and the 24 hour postponement of the opening . 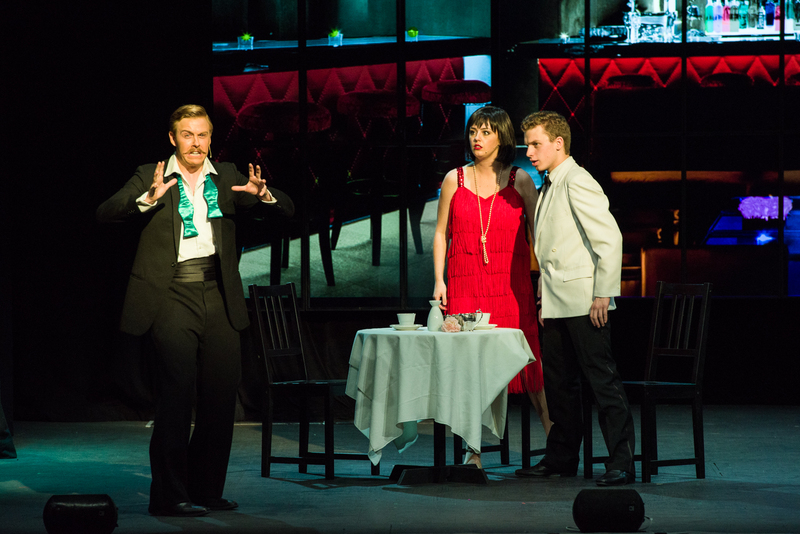 With minor exceptions the show flowed smoothly. 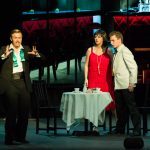 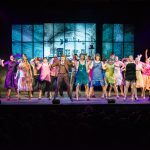 Heather Elliott's musical direction was secure and Shenayde Wilkinson-Sarti's choreography was crisp and well suited to the era. 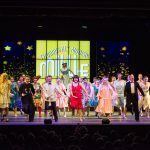 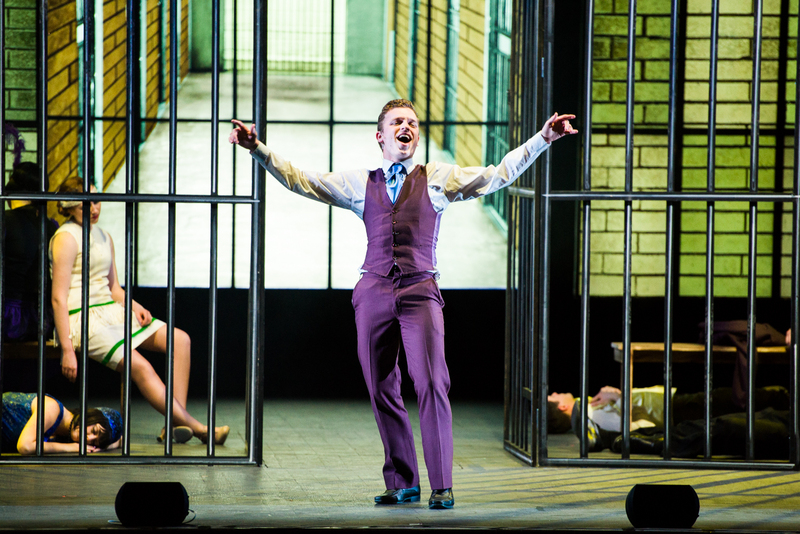 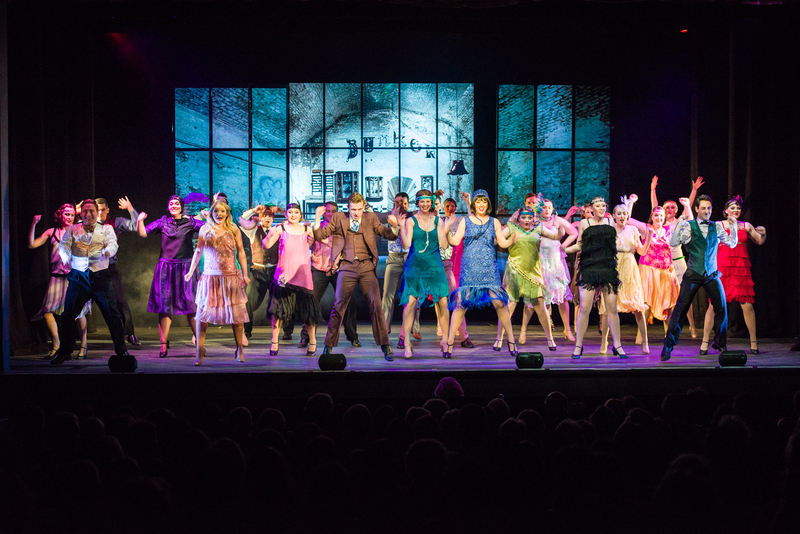 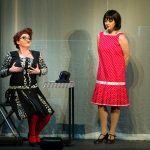 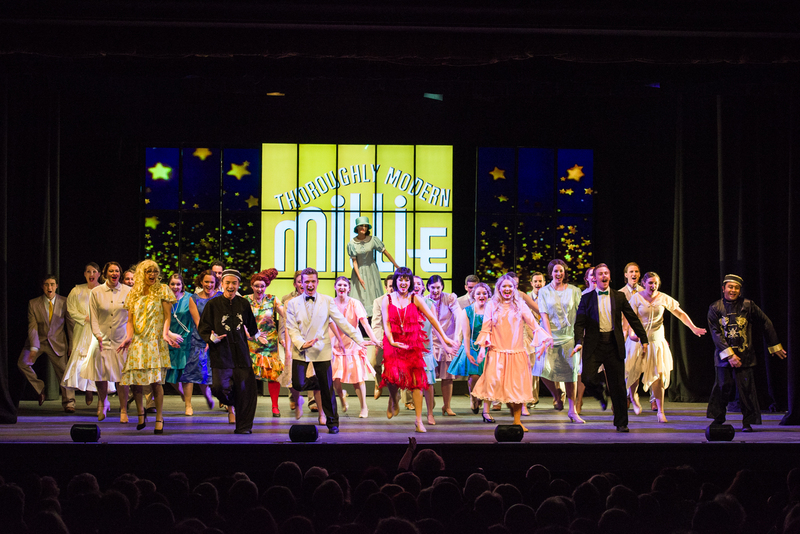 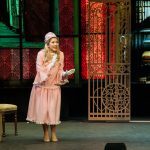 Millie is a strange musical, blending original songs with a number lifted, tongue-in-cheek, from classic musicals or operetta. 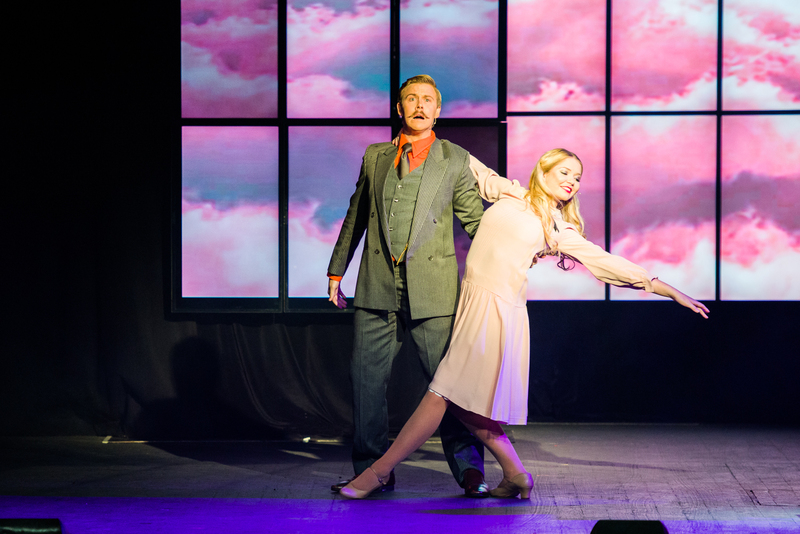 Falling in Love with Someone and the take-off of G&S's ItReally Doesn't Matter are good examples. 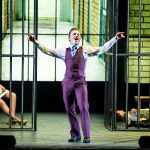 In the main this production made a good fist of the musical blend and brought a certain credibility to the frivolous story line. 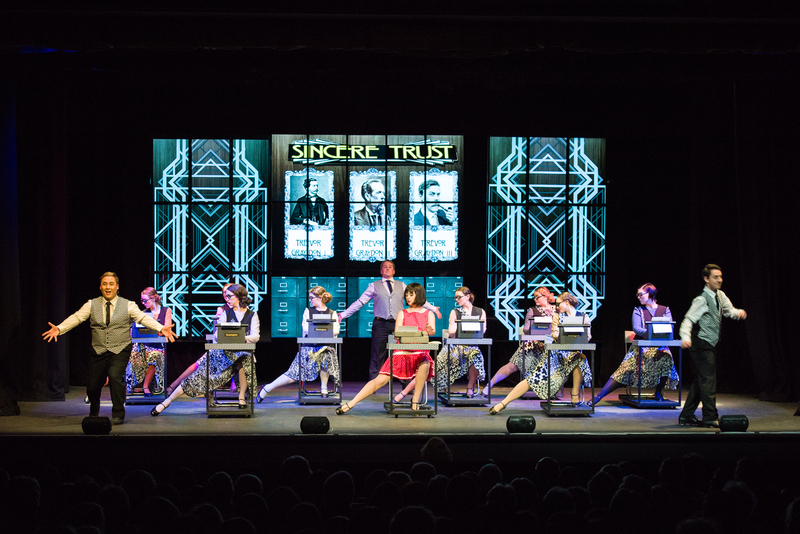 The set was digitally impressive, providing clarity, colour and depth behind the action. 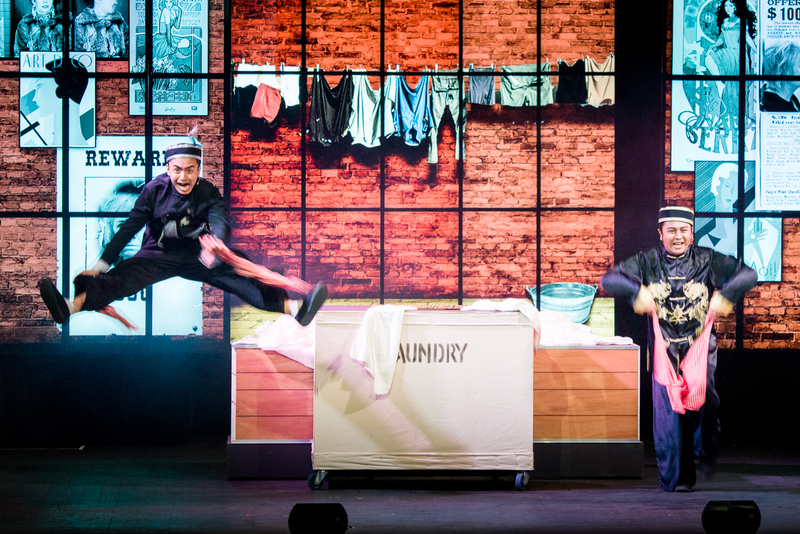 Its concept prevented the wash-out so often seen in back-cloth projections. 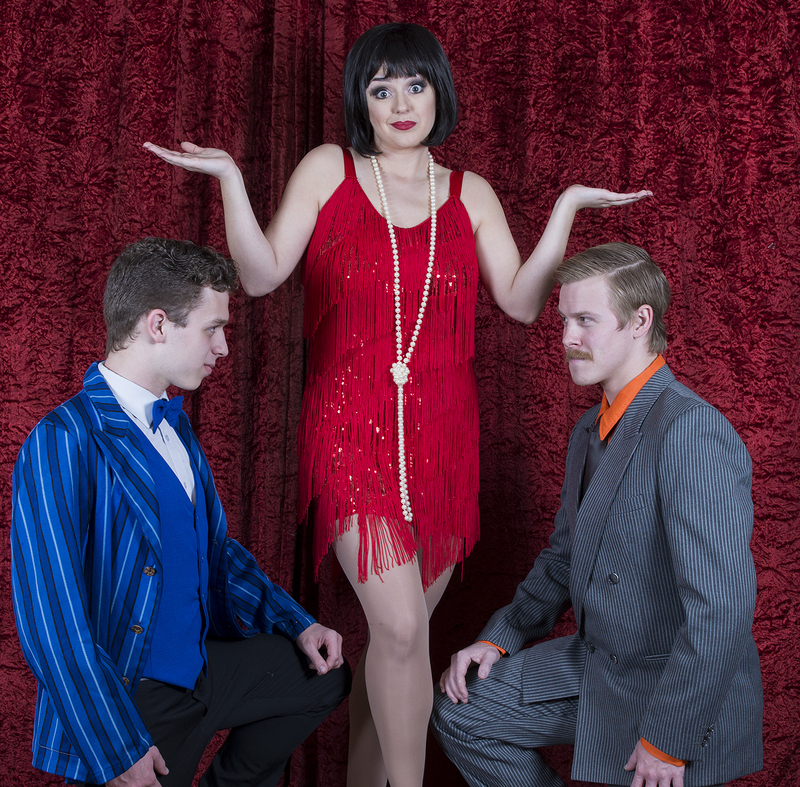 It also suitably complemented the 1920s costumes. 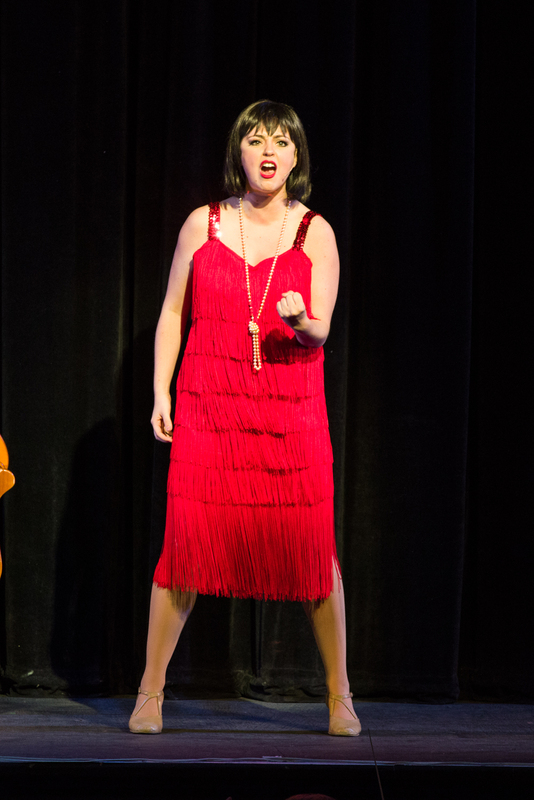 The cast was led by the charming Alana Shepherdson as Millie. 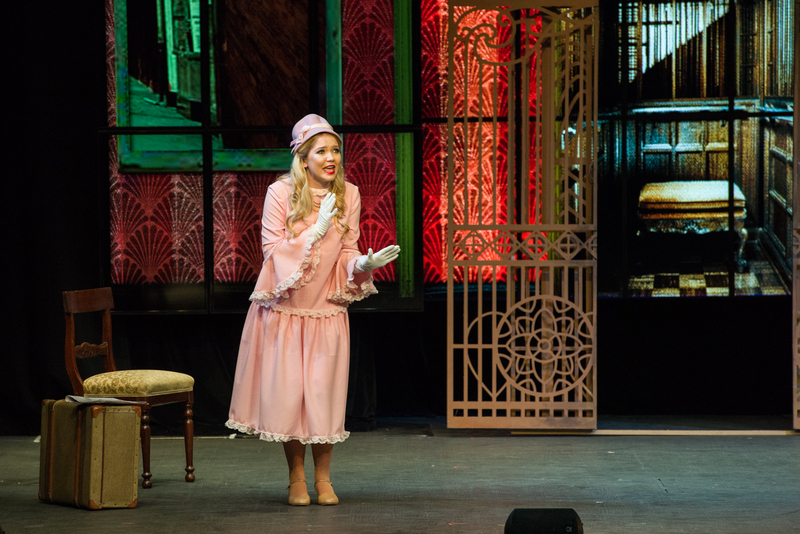 She sang and moved well and was entirely convincing as the naive new arrival in NYC. 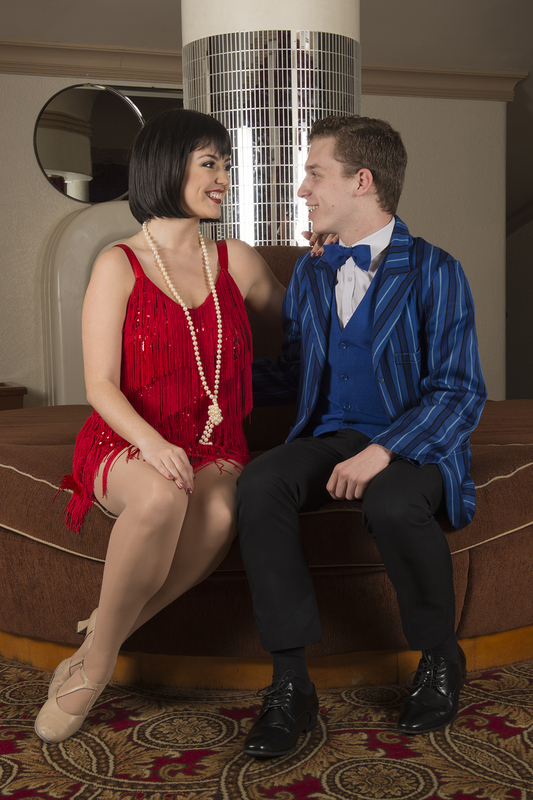 Mitchell Smith was a plausible Jimmy, the undercover rich boy and Millie's love interest, while Emily Wood provided good emotional and vocal balance as Miss Dorothy. 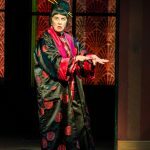 Pam O'Grady was funny yet menacing as Mrs Meers, the white slaver, and Buddy Dawson gave a sustained and entertaining interpretation of the socially awkward Trevor Graydon, proprietor of the company, Sincere Trust. 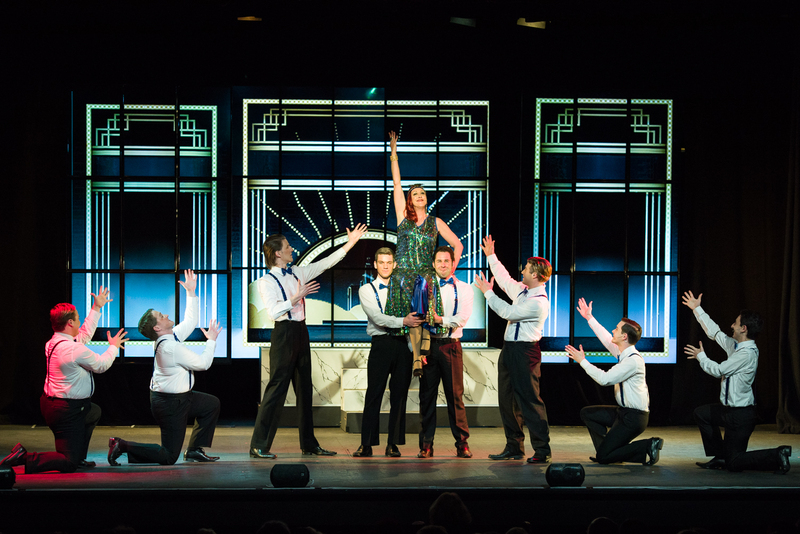 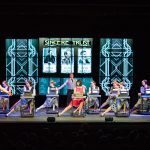 In all, this was an agreeable and toe-tapping tribute to the Roaring Twenties and the would-be emergence of Millie, the 'modern' woman.